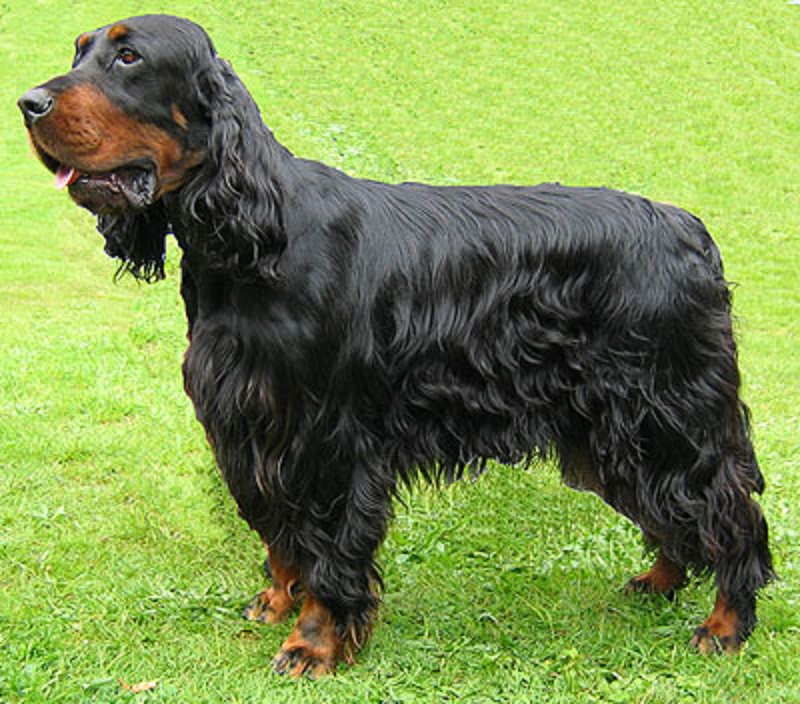 The modern Gordon Setter is a predominantly black dog with rich tan marking on the muzzle, legs and chest. A little bigger and heavier than either the Irish or English, he is nevertheless descended from the same genetic mixing pot, which undoubtedly has its origins among those setting spaniels we met earlier. The Kennel Club applied the name "Gordon Setter" to the breed in 1924. Before that they were known as black and tan setters, and were found in many kennels beside those of the Alexander Gordon, 4th Duke of Gordon (1743-1827). Indeed, as we shall see, there is plenty of evidence that the majority of the setters at Gordon Castle during the Duke's time were tri-coloured rather than pure black and tan. The breed was brought to the United States by George Blunt and Daniel Webster in 1842, with the purchase of two dogs named Rake and Rachel from the Duke's kennels. The American Kennel Club officially recognised the breed in 1892.